See scan - perfect condition. 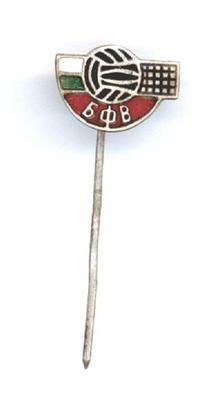 This is a nice and rare early Communist Bulgarian era member pin of the Bulgarian Volleyball Federation. The pin is silver and has scarce enamel work. Great volleyball and sports memorabilia collector piece and one of the nice Bulgarian pins.